The Ukrainian Orthodox Church and the “Holy Church of Ukraine”: Who Has More Independence? You are at:Home»Governance & Unity News»Governance & Unity Essays»The Ukrainian Orthodox Church and the “Holy Church of Ukraine”: Who Has More Independence? A comparison of the relationship of the Ukrainian Orthodox Church with the Moscow Patriarchate and the “Holy Church of Ukraine” with the Phanar. Petro Poroshenko and Epiphany Dumenko have received their desired tomos. Already well before that, the majority of religious experts argued that the Phanar would never give the Ukrainian Church true autocephaly, and that’s what happened. Even the most ardent supporters of autocephaly have to admit that the Ukrainian so-called autocephaly has a number of very significant restrictions. They also expressed the opinion that the new Ukrainian Church, which will be called autocephalous, will in fact have less independence and freedom in administration than the Ukrainian Orthodox Church with its autonomous status. Is that really so? First, the authority of the UOC can be analyzed on the basis of three documents: the Patriarchal gramota of 1990 on the autonomy of the UOC, the statutes of the UOC, and the statutes of the ROC, in particular Chapter 10: The Ukrainian Orthodox Church. The authority of the “Holy Church of Ukraine” (HCU), as it is called in the tomos, can be analyzed only on the basis of this tomos. The text of the statutes of the HCU have not been fully published, and, of course, nothing about Ukraine is said in the statutes of the Church of Constantinople. However, the tomos has a provision that allows for analyzing the real status of the HCU without looking at its statutes. This provision establishes that the provisions of the statutes of the HCU “necessarily coincide in all things with the provisions of this Patriarchal and Synodal Tomos.” Thus, if anything in the HCU statutes comes into conflict with the tomos, it will be invalid. Second, to compare the texts of the documents regulating the status of the UOC with the tomos of the HCU is rather difficult, because the wording of the charter documents of the UOC is very specific and in most cases does not allow for any ambiguous interpretations. The wording of the HCU tomos is rather vague and unspecific, with much left to the opinion of the Phanar, which in any concrete situation could be this or that. Third, in the text of the tomos, the Phanar left itself several safety nets, or levers of pressure, in case the Ukrainian side doesn’t fulfill those spoken or unspoken conditions under which the tomos was issued. First is the aforementioned provision that the statutes of the HCU must wholly comply with the tomos. Otherwise, the Phanar will have the right to demand bringing the statutes of the HCU into accordance with the tomos. For questions of a “doctrinal character,” everything is more or less clear. These are the basic doctrinal formulations that have been unchanged for centuries and which no one is going to change. But questions of a “canonical,” let alone an “ecclesiastical” character can be attributed to anything—from episcopal appointments to financial flows. It’s all left to the discretion of the Phanar, as well as the right to determine if the given question is “major” or not. The fourth point is receiving holy Chrism from Constantinople. Chrism is the substance used in the Sacrament of Chrismation and through which the grace of the Holy Spirit is given to newly-baptized Christians. Not every Local Church prepares holy Chrism for itself. There are those that receive it from other Local Churches. But, in fact, receiving Chrism from Constantinople is a very significant lever of influence for the Phanar on the HCU. In the case of disobedience by the latter to the “Mother Church,” the Phanar can simply not give any Chrism, and thereby the HCU wouldn’t be able to celebrate the Sacrament of Chrismation, and inasmuch as the Sacrament of Baptism is united with the Sacrament of Chrismation in one rite, then Baptism would become impossible for the HCU. But for our people, who give such great importance to the rites, it would be something like a medieval interdict, when the Pope of Rome forbade to celebrate the Sacraments in countries that were disobedient to him. And finally, perhaps the most significant lever of pressure on the HCU is how the Phanar relates to tomoses issued by it and other documents. The recent cancelation of the tomos of 1686 on the transfer of the Kiev Metropolia to the Russian Church and the 1999 tomos on the formation of the Archdiocese of Russian parishes in Western Europe clearly demonstrated that the Phanar is truly “the master of its word”: I want—I give; I want—I take back. Therefore, the Ukrainian tomos can be withdrawn or annulled at any moment. Now a proper comparison of power. The tomos of the HCU speaks of the same: We “unanimously determine and declare that the entire Orthodox Church contained within the boundaries of the politically constituted and wholly independent State of Ukraine … hereafter exist as canonically autocephalous, independent, and self-administered.” It differs only in the word “autocephalous,” but as the Union of Orthodox Journalists has already written, it’s just a word, and nothing more. 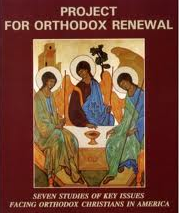 There is something similar in a provision on the UOC, namely: “May the Ukrainian Orthodox Church, united through our Russian Orthodox Church with the One, Holy, Catholic, and Apostolic Church, change nothing concerning the dogmas of faith and the sacred canons without the conciliar decision of the entire Orthodox Catholic fullness” (1990 gramota of the UOC). In comparison with the HCU tomos, there are two principal points in this provision. First is the limitation of the UOC only in matters pertaining to “the dogmas of the faith and the sacred canons,” while the HCU is limited in its independent decision also on “ecclesiastical” matters. Second is that the UOC cannot “change [any]thing concerning the dogmas of faith and the sacred canons without the conciliar decision of the entire Orthodox Catholic fullness,” that is, the conciliar opinion of every Local Orthodox Church. But the HCU is obliged to coordinate all important ecclesiastical, dogmatic, and canonical questions only with Constantinople. Thus, the range of questions that the HCU should coordinate with the Phanar is significantly wider than the range of questions that the Ukrainian Orthodox Church cannot solve independently. That means the UOC is freer and more independent in its administration than the HCU. The HCU tomos speaks about it directly and unambiguously: “The Autocephalous Church in Ukraine knows as its head the most holy Apostolic and Patriarchal Ecumenical Throne, just as the rest of the Patriarchs and Primates.” This reference to “the rest of the Patriarchs and Primates,” first, is not true, as not one “Patriarch and Primate” recognizes “the most holy Apostolic and Patriarchal Ecumenical Throne” as its head. And second, it is nothing more than an attempt to assert the claims of the patriarchs of Constantinople to supremacy in the entire Orthodox world, which are absolutely not justified whether dogmatically or canonically. That is, in fact, the primates of the Local Churches do not recognize the Patriarch of Constantinople as their head, but Epiphany Dumenko does. From this follows that the autocephaly of the HCU does not really exist. As for the headship of the Moscow Patriarchate over the UOC, it’s not spoken about anywhere. “The Ukrainian Orthodox Church is self-governing with the rights of broad autonomy” (statutes of the ROC). Nowhere is it said that the UOC recognizes the “Moscow Patriarchal Throne” as its head. And these rules are born out in practice. We see that in 2014, when the current primate of the UOC His Beatitude Onuphry was elected, the leadership of the Russian Orthodox Church played absolutely no part in the elections whatsoever, let alone interfering in them. Patriarch Kirill only blessed the elected Metropolitan of Kiev and sent him his fraternal greeting. 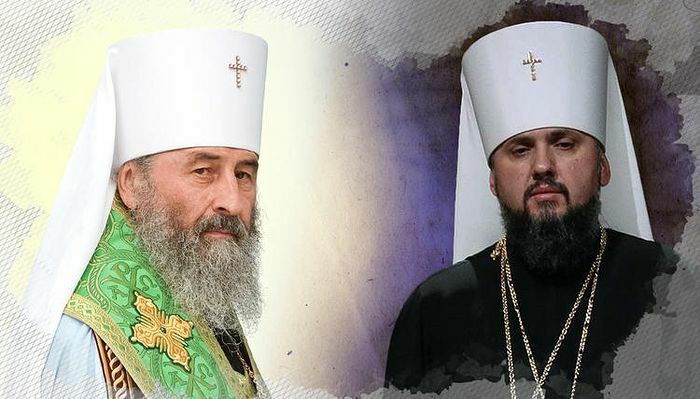 Concerning the election of the head, the tomos of the HCU says the following: “The Metropolitan of Kiev and all Ukraine, as well as the Hierarchs of the most holy Church of Ukraine, are from now on elected in accordance with the … relevant regulations of its Constitutional Charter, along with mandatory agreement in all matters on the regulations of the present Patriarchal and Synodal Tomos.” However, we recall that in another place it says the following: “The Autocephalous Church in Ukraine knows as its head the most holy Apostolic and Patriarchal Ecumenical Throne.” And these are not just words. In 1998, Constantinople recognized the autocephalous status of the Church of the Czech Lands and Slovakia. This Church also received a tomos, however with conditions even more loyalist than for the OCU. However, what happened in practice? There were elections for the new primate of this Church in 2013. Then Metropolitan Emmanuel of Gall arrived in Prague and took part in the diocesan meeting of the Prague Diocese, called to elect the new Archbishop of Prague after Metropolitan Christopher (Pulec) went into retirement. In his speech, Metropolitan Emmanuel declared that none of the candidates for election as Archbishop of Prague were recognized by the Patriarchate of Constantinople, thereby effectively derailing the voting procedure. Then the Phanar lobbied for the candidacy of the Locum Tenens Simeon, and when the bishops still elected Archbishop Rostislav as the head of the Church, Constantinople did not recognize this choice of the hierarchs of the autocephalous Church of the Czech Lands and Slovakia and continued to consider Simeon the primate. I. The election of the new primate of the Church, following the vacating of the See by Archbishop Christopher, occurred without the recognition of the Ecumenical Patriarchate and other Orthodox Churches due to the recognition of non-canonical actions in the holding of this election. II. 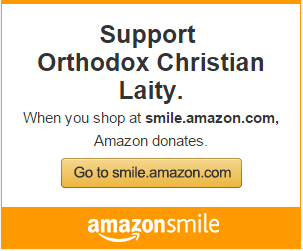 For this reason, every successive action undertaken by this Church, given the final election of the hierarchy of this Church, is non-canonical and unrecognized by the Ecumenical Patriarchate. III. The Ecumenical Patriarchate, as the Mother Church of this Church, stands ready to contribute to the canonical resolution of the grievous situation that has arisen there and invites all the parties present to continue these negotiations with the Mother Church in order to find an appropriate resolution and to prevent any actions that could further complicate the present rather regrettable situation in this Church. Thus, in fact, the Phanar organized a schism in this Church, as some were for the election of Archbishop Rostislav, and others for Simeon. And only the need for the presence of the Church of the Czech Lands and Slovakia at the Crete Council in 2016 forced the Phanar to recognize the absolutely lawful election of Archbishop (later Metropolitan) Rostislav by the bishops of the Church. Can we say that the tomos of autocephaly witnesses to the real independence of this Church from the Phanar? By no means. Will it be different in Ukraine? Hardly. Who has what governing bodies? The UOC has, according to its statutes, three supreme governing entities: the primate, the Holy Synod, and the Bishops’ Council. “The primate of the Ukrainian Orthodox Church is elected for life by the episcopate of the Ukrainian Orthodox Church” (UOC statutes). The UOC and the HCU have their Synods together with which the primates manage current affairs. Turning to the consideration of the Bishops’ Council as a governing body, we note the following. In Orthodox Tradition, the Synod is not considered an independent governing body. It was always considered a body under the primate. Meanwhile, the Bishops’ Council is not just an independent body, but a body to which the primate is subject and accountable. If the Synod is headed by the primate, then he only presides over the sessions of the Bishops’ Council. The Bishops’ Council can judge the primate: “The right of trial over the Metropolitan of Kiev and All Ukraine, and also decisions about his retirement in the case of his submission of a relevant request, belongs to the Bishops’ Council of the Ukrainian Orthodox Church” (statutes of the UOC). But the tomos of the HCU doesn’t provide for such a body as the Bishops’ Council at all. That means that the primate of the HCU is not subject to anyone in Ukraine. That brings up a question: Then who is he subject to? To the Phanar: “The right of all Hierarchs and other clergy to address petitions of appeal to the Ecumenical Patriarch, who bears the canonical responsibility of irrevocably passing judgment” (tomos of the HCU) is preserved. This fact—the absence of a Bishops’ Council in the administrative structure of the HCU—speaks of a very significant degree of dependence of the primate of the HCU on the Phanar. And if we recall that the Synod of the HCU as a governing body exists under the primate and cannot act without him, and additionally, it is not elected by Ukrainian bishops but formed in the order defined by the Phanar, it turns out that the primate of the HCU and the Synod subordinated to him are critically dependent upon the Phanar. Within Ukraine, there is no body that could judge them. Therefore, it can be argued that the governing structure of the HCU is more dependent on the Phanar than the UOC on the Moscow Patriarchate. The tomos of the HCU contains the following wording: “As for matters related to internal ecclesiastical administration, these shall be arbitrated, adjudicated and determined absolutely by the Primate and the Holy Synod.” However, this statement is immediately followed by a list of limitations on this right: The judicial authority of the Phanar over the HCU, the obligation to appeal to the Phanar on all important questions, and the HCU’s recognition of Constantinople as its head. In the statutes of the UOC, its authority to resolve all issues of internal governance is described as follows: “The Ukrainian Orthodox Church is independent and autonomous in its administration and structure” (statutes of the UOC). The same is contained in the relevant chapters of the statutes that define their authority. The Moscow Patriarchate has only one stavropegion in Ukraine—the Holy Trinity Monastery in Korets in the Rivne Province. This monastery only become a stavropegion in 1984 at that, as the then-Exarch of Ukraine Philaret Denisenko wanted to close it and Abbess Natalia (Ilchuk) went to Moscow to seek for protection from the atrocities of the Kiev Metropolitan from His Holiness Patriarch Pimen (Izvekov). Today the Phanar also has only one stavropegion in Ukraine—St. Andrew’s Church in Kiev. However, the authorities are preparing to transfer a few dozen monasteries and churches to Constantinople and formalize it on the level of Ukrainian legislation. Which monasteries it will be is still a mystery, because the President’s administration does not disclose the contents of the agreement between Patriarch Bartholomew and President Petro Poroshenko signed on November 3, 2018, though the media has named a number as high as thirty-eight monasteries. A large number of transferred property even allows the Phanar to organize them into a separate exarchate and to specify the inviolability of the rights to such property in the tomos: “The prerogatives of the Ecumenical Throne over the Exarchate and Sacred Stavropegial institutions in Ukraine shall be preserved unmitigated” (tomos of the HCU). If the plans to transfer the main Ukrainian monasteries and churches to the Phanar are realized, it will be possible to talk about a full-fledged parallel jurisdiction of the Phanar in Ukraine—parallel to the HCU, of course. Conversely, not only does the HCU tomos not have any refusal of Church property in Ukraine from the Phanar, but rather, claims to it. Therefore, the advantage of the UOC in this matter is quite clear. It exclusively owns all its own property, while the HCU shares it with the Phanar. Summing up, we can say that the founding documents of the UOC and HCU clearly testify: The UOC, with its autonomous status, has more independence and freedom than the HCU with its formal status of autocephaly. However, the wording of the official documents often means less than the practice of their application. The history of the UOC’s autonomy from 1990 testifies that the Moscow Patriarchate truly has not impinged upon its independence and autonomy. How the provisions of the HCU tomos will be implemented in practice is a matter of time, and by all indications, very soon.